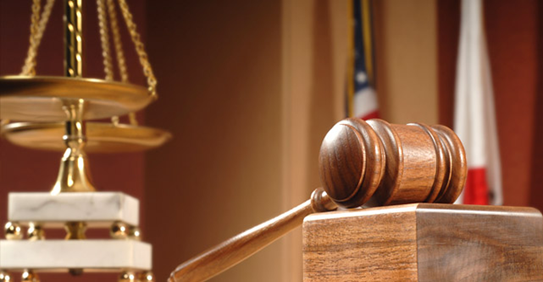 Mr. Sewell continuously distinguishes himself as a top litigation attorney. He has been prominently featured as a preeminent legal authority on CNN as well as received the distinction of being named Litigation Lawyer of the Year in the USA. Moreover, he has been selected three times by New York Super Lawyers as a “Rising Star” and is a honoree of The National Black Lawyers – Top 100. 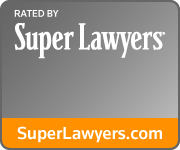 Additionally, he is recognized as “Superb” and a “Top Litigation Attorney” by the lawyer-rating service Avvo. Attorney Sewell has several years of transactional experience as well as significant, state and federal litigation practice. Moreover, he is well-versed in prosecution matters before the United States Patent & Trademark Office and the United States Copyright Office. He has represented the spectrum of patent, trademark, and copyright owners, food and drug companies, business owners, non-institutional clients, and more. While at a top 100 law firm, Mr. Sewell’s foci were in the areas of litigation and intellectual property. Prior to large firm practice, he honed his skills in Manhattan at a litigation boutique that specialized in intellectual property, food & drug law, and litigation. Mr. Sewell is also an alumnus of the distinguished Innocence Project at the Benjamin N. Cardozo School of Law. He drafted motions and briefs regarding reopening criminal cases and reversing convictions using DNA evidence. Ultimately, his efforts culminated in the exoneration of one of his clients. Dayrel also completed a legal fellowship at Bristol-Myers Squibb Company. While at Bristol-Myers, he gained patent litigation and prosecution experience through the Court of Appeals for the Federal Circuit litigation and training seminars, respectively. He also worked on several regulatory matters including corporate consultant agreements, conflicts of interest, clinical trials, and co-marketed pharmaceutical contracts. 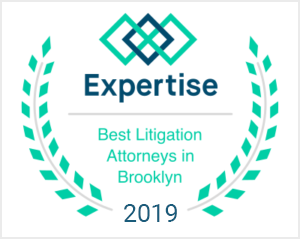 To continuously expand his expertise, Attorney Sewell has several years of experience providing counsel and litigation representation to real estate entities and individuals. Mr. Sewell recognizes the systemic real estate crisis and its affects on both investors and individuals, and is well-prepared to continue to assist clients with the crisis’ persistent havoc that affects the millions of people involved. Prior to law school—with academic, medical background, and practicum requirements being met—Mr. Sewell received his M.P.H. from Columbia University and was a Director for medical research studies in New York City. Dayrel received his B.A. from The Johns Hopkins University, majoring in both Natural Sciences and Public Health. Mr. Sewell has also found time to do pro bono work. Of note, Dayrel is proficient in Spanish. Dayrel S. Sewell, Ruth Buchbinder, Demonstrative Evidence: Friend or Foe?, The Brooklyn Barrister, Spring 2017, at 1. Dayrel S. Sewell, Lance Willoughby, Landlords and Loft Space, The Richmond County Bar Association Journal, Spring 2017, at 24. Dayrel S. Sewell, Andrew Janof, Shrouded in Secrecy: LLCs and High-End Real Estate, The Brooklyn Barrister, September 2016, at 1. Dayrel S. Sewell, Amulya Appalaraju, The Duality of the U.S. Supreme Court’s Janus Decision, American Bar Association, Securities Litigation, 2015 Fall Newsletter. Dayrel S. Sewell, Andrew Fine, The “Redskins” Trademark: Turn-over on Downs, IPFrontline, October 2015. Dayrel S. Sewell, Ivan Ng, Pharrell Williams and Robin Thicke told they “Got To Give It Up”, IPFrontline, May 2015. Dayrel S. Sewell, Ivan Ng, A ‘Generic’ Victory for Specific Fact-Findings, Intellectual Property Today, March 2015, at 34. Dayrel S. Sewell, Ivan Ng, A ‘Generic’ Victory for Specific Fact-Findings, IPFrontline, February 2015. Dayrel S. Sewell, Myriad Back in Court on Patent Subject Matter Eligibility, The Brooklyn Barrister, January/February 2015, at 9. Dayrel S. Sewell, The Ignominious Patent Troll, The Brooklyn Barrister, November 2013, at 5. Dayrel S. Sewell, The Ignominious Patent Troll, Intellectual Property Today, November 2013, at 12. Dayrel S. Sewell, Unanimous U.S. Supreme Court and Angelina Jolie: BRCA1 & BRCA2 Patentability, Intellectual Property Today, July 2013, at 24. Dayrel S. Sewell, Marc S. Ullman, The Regulation of Advertising for Dietary Supplements in the United States, KENKO SANGYO RYUTSU SHIMBUN (Health Trade Newspaper), April 8, 2007, at Issue 661. Tam T. Nguyen, Dayrel S. Sewell and Adrian S. Dobs. Oral Methyltestosterone Given to Post-menopausal Women Decreases Adipose Tissue and Increases Lean Muscle Mass with No Change in Muscle Strength. ENDO 2000 Abstracts. Category: Clinical Science: Aging. Medicine, Johns Hopkins University (2000). Dayrel S. Sewell, Brooklyn Bar Association Continuing Legal Education Speaker, Intellectual Property Fundamentals: What Every Attorney Needs to Know, May 2014. Dayrel S. Sewell, Legal Analyst (en español ), CNN “Realidades En Contexto”: Nueva Jersey Agentes Inmobiliarios haber supuestamente Relaciones repetidas Dentro de una casa en venta, March 2014. Dayrel S. Sewell, Panelist, Managing Career Changes in a Changing Global Market, Union League Club, November 2013. Dayrel S. Sewell, Presenter, Professional Development, Bristol-Myers Squibb Legal Department Conference, June 2009.